It's the start of the summer holidays and I'm already dreaming of afternoons spent relaxing in the back garden on a comfy lounger, browsing magazines and sipping something with a paper umbrella while the Mini Mes make the most of the paddling pool. 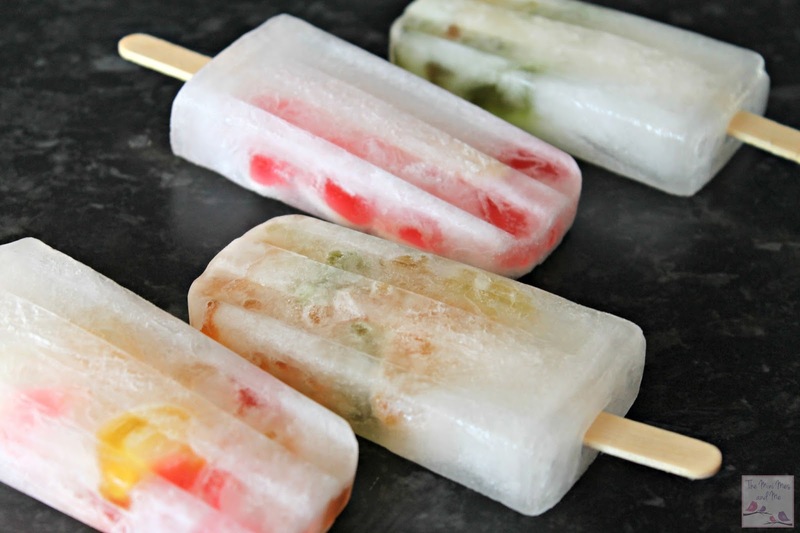 These ice lollies are incredibly simple to put together and are a great way to remain cool in the heat. 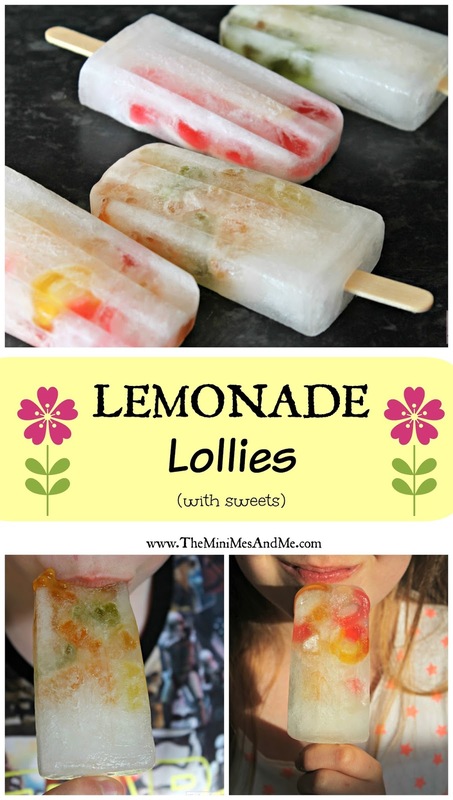 The little sweeties within are a tasty treat while adding texture and the lemonade is so refreshing - they're seriously low calorie too! Let the kids get creative in the kitchen. 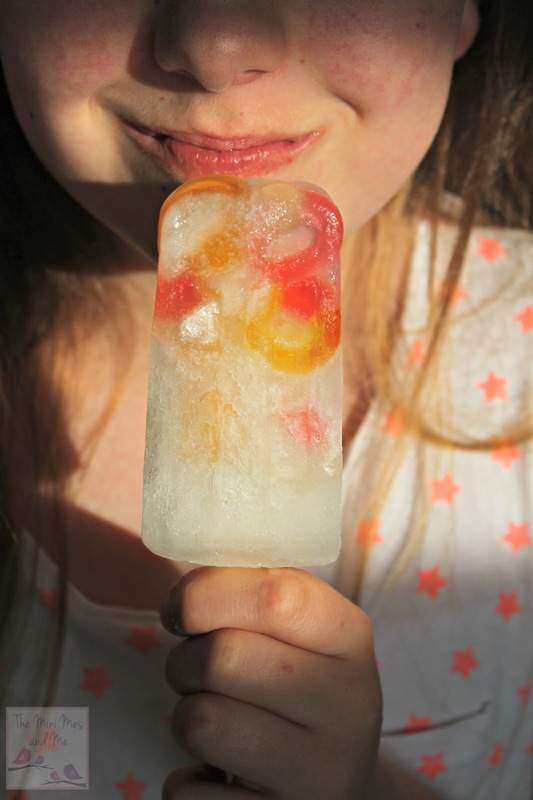 we've decided to make our own lollies this summer and will try the gummy sweets! I think jelly tots would work too.